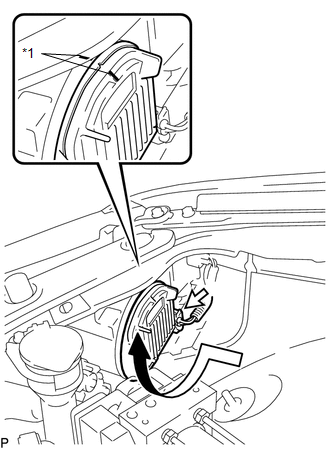 (a) Turn the socket of the light control ECU in the direction indicated by the arrow shown in the illustration to connect it. Check that the O-ring is installed on the light control ECU. Check that the O-ring is not damaged or contaminated with foreign matter. If there is any damage, replace the O-ring with a new one. 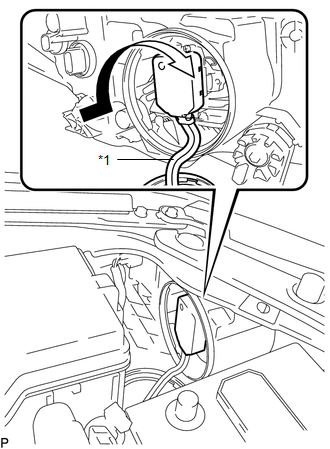 (b) Check that the red line on the output harness is not twisted and store the harness in the headlight assembly securely so that the output harness is not pinched. 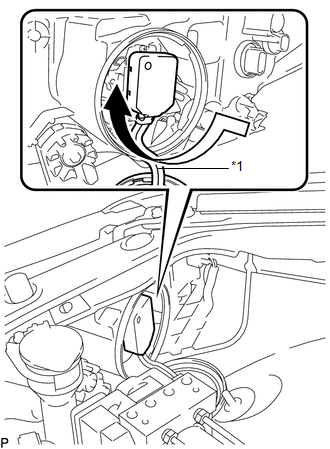 (c) Turn the light control ECU in the direction indicated by the arrow shown in the illustration until the lock marks are aligned to install it. 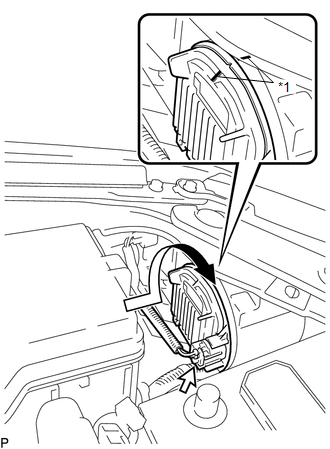 To prevent incomplete installation, make sure to fully push in and turn the light control ECU until the lock marks are aligned.